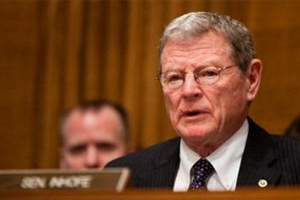 WASHINGTON, D.C. — U.S. Sen. Jim Inhofe (R-Okla.) today introduced amendment no. 3483, the Federal Lands Freedom Act, to the Bipartisan Sportsmen’s Act of 2014 (S. 2363). The amendment would return power to the states to control hunting, fishing, outdoor recreation and energy production on most federal lands. • Amendment no. 3451 would protect the right of individuals to bear arms by allowing firearms on land controlled by the Army Corps of Engineers. • Amendment no. 3453 would protect sportsmen’s ability to engage in recreational activities by preventing a rule under the Clean Water Act from being implemented and restricting access and activities on creeks, rivers, ponds and lakes. • Amendment no. 3457 would allow interstate firearms sales by permitting out-of-state dealers to sell in a state if they comply with all state laws in which they are selling. This amendment would also allow military members to buy a firearm in state of residence or where stationed. • Amendment no. 3458 would allow interstate transportation of firearms or ammunition in vehicles under certain conditions and would preempt any state laws to the contrary. • Amendment no. 3467 would begin using proceeds from federal land sales for deficit reduction purposes by transferring $1 million each year through 2024 from the Federal Land Disposal Account to the U.S. Department of the Treasury. Each year thereafter, 10 percent of all proceeds of federal land sales would be returned to the Treasury for deficit reduction. • Amendment no. 3478, the Second Amendment Enforcement Act of 2014, would protect the Second Amendment rights of citizens in the District of Columbia. • Amendment no. 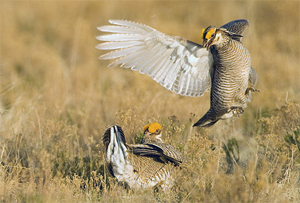 3487 would prohibit any land use changes as a result of a listing of the Lesser Prairie Chicken. Inhofe has long been working with stakeholders and the Fish & Wildlife Service to prevent a LPC listing from harming agriculture and energy production in Oklahoma, Texas, Kansas, Colorado and New Mexico. • Amendment no. 3502 would express the sense of the Senate that the United Nations Arms Trade Treaty must be ratified by the Senate and that any changes to current gun laws pursuant to the Treaty must be enacted by Congress before they occur. This entry was posted in National, Sports on July 10, 2014 by admin.